You don’t have to be in Hollywood on Oscar night to party like a star. 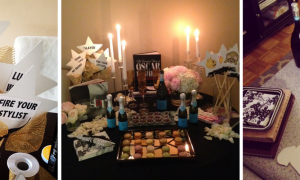 Here are some easy ways to throw a fabulous Academy Awards watch party at home with friends and family. If you’re like me, the short days and less than stellar weather of winter sends me into hibernation mode; meaning I tend to see less of the people I care about most. 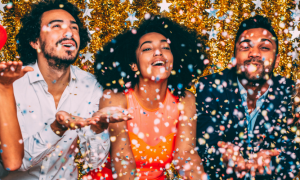 If you’re looking to for a fun way to reconnect with friends and family, and happen to be a fan of movies and the celeb filled Academy Awards, then throwing your own Oscar viewing party at home might be just what the doctor ordered! Here are some sure fire tips to help you pull off an Oscar party worthy of any A Lister. Make it an Event! – The most obvious but very important first step is to build some “buzz” around your Oscar party within your close circle of friends. Set the right tone by creating and sending award show inspired eVites via eVite. Feeling even more creative? Why not send an invite message to your friends over snapchat using the face change filter? 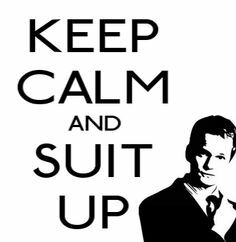 Take a queue from Justin Timberlake and Barney Stinson…suit up! – If you want to kick the awesomeness level of your party up a notch, require that your soiree attendees come dressed up, like they were really at the Oscars! Roll out the Red Carpet – One of the signature parts of Oscar night are the red carpet arrivals and interviews that happen right before the actual ceremony begins. You can buy a 15 foot red carpet runner for $7 at Party City. Right before your guests arrive, roll that red carpet out! Designate someone in your family as the paparazzi and take some photos of your decked out guests. Post to Facebook and Instagram immediately! If you really want to be creative, you can even film them and edit a fun video together after the fact. The big screen – A bit before the show begins, lead your guests to the room with your biggest screen. 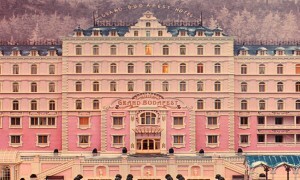 This should be where you all watch the Academy Awards. For a few bucks, you can spruce your space up by making it festive with some award show related decorations. Party supply stores like Party City have a slew of cheap Hollywood inspired decorations you can purchase to add some pizzazz to your shindig. Want to go the extra mile? Rent or buy a popcorn machine! 7. Celebs get gifts – Word on the street is that Oscar presenters get amazingly expensive gift bags just for showing up and reading a few words off the teleprompter. While you won’t have the budget for that, be sure to leave each guest with a small gift bag to take home as a token of your appreciation. You can get Hollywood themed party bags at any party store and you can get as creative as you’d like with your gifts: Chocolates, candy, cards, $5 gift cards or anything from the bargain bins at Target! And there you have it! With a little bit of pre-planning and very little cost, you can have an Academy Awards party at home to make any A-Lister jealous. Be sure to also look out for the “Official Oscars Challenge” as well! You can play against friends and others for the chance to win exclusive gifts and prizes. 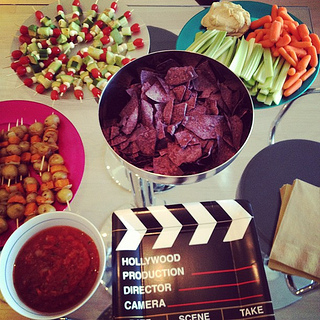 These fun ideas will help you throw an award-winning Oscar party in your home!